Avail 5.5% discount on premium for policies bought online directly** across 9 plan options with HDFC Life Click 2 Protect 3D Plus. 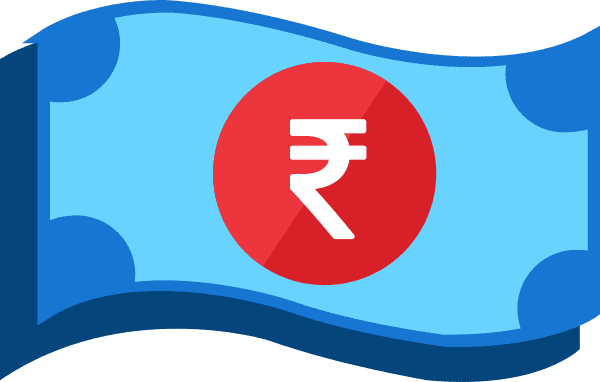 Let your money work for you with HDFC Life Click 2 Invest – ULIP. Cancer doesn't care who you are. Stay prepared while you can. Retirement & Pension Plans provide you with financial security so that when your professional income starts to ebb, you can still live with pride without compromising on your living standards. Given the high cost of living and rising inflation, Retirement planning has become all the more important. 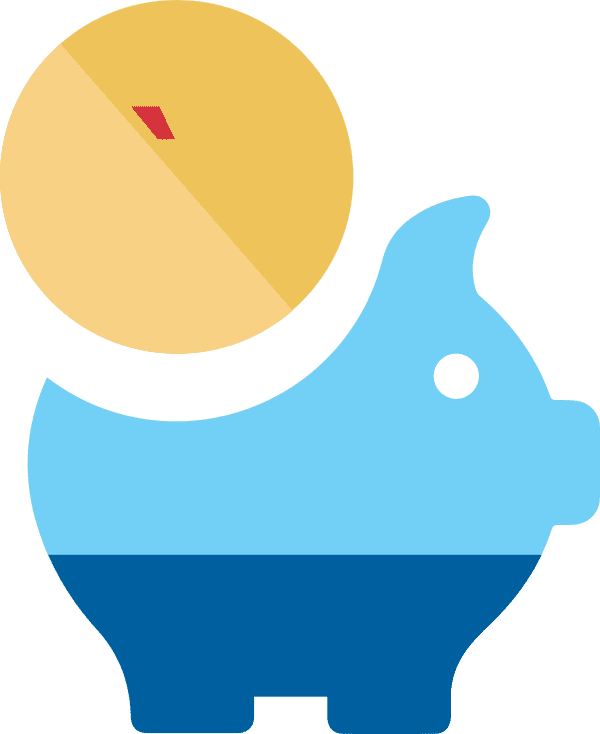 Pension plans are investment plans that lets you allocate a part of your savings to accumulate over a period of time and provide you with steady income after retirement. Retirement & Pension Plans provide you with financial security so that when your professional income starts to ebb, you can still live with pride without compromising on your living standards. Given the high cost of living and rising inflation, Retirement planning has become all the more important. Why You Need Retirement and Pension Plans? Retirement & Pension Plans provide ample regular income in retirement with the help of money saved during work life. Your family can maintain its lifestyle without your regular pay cheque despite constantly rising living costs. Adequate retirement planning also help you to meet unexpected expenses without a worry. 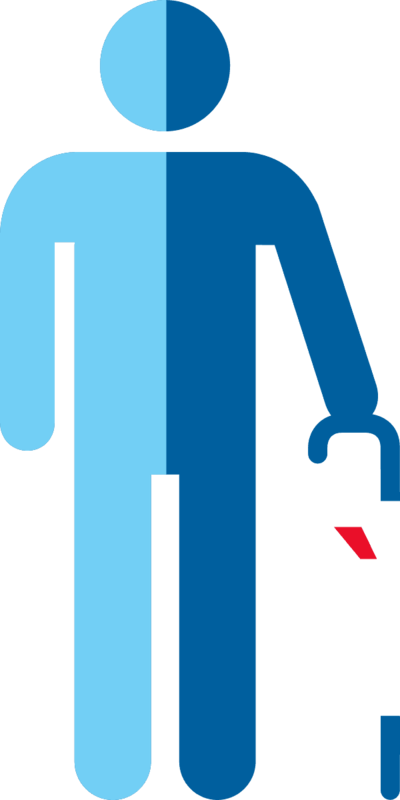 How HDFC Life Retirement and Pension Plans Help? Investments with regular premiums or a lump sum payment makes your money grow well during your work life. On retirement, a part or the whole of this savings can be used to create regular retirement income. HDFC Life Click 2 Wealth is a Unit Linked, Non-Participating, Life Insurance plan that offers market linked returns, charges minimally, provides valuable financial protection for you and your family. Build financial security for a happy post-retirement life without compromising on your living standard. We all know the burden of taxes can be a hard one to bear, especially when you have a family to provide for. With the weight of these financial burdens, it can be easy to neglect yourself and your future financial security. You tell yourself that you’ll start saving for retirement once you get that promotion, once you turn 40 or once your kids go off to college. What’s more, the power of compounding has a lot to offer you. Say you begin investing Rs.300 per month at the age of 25. Assuming an interest rate of 8%, you’d have over Rs.1 million by the time you are 65. Now if you invested the same amount starting at the age of 35, you’d have only Rs.440,000 at 65. In this case, starting a decade earlier would more than double your final amount. When you’ve spent your life supporting and providing for your children, it’s likely that they will want to help you out financially in your old age. However, being too dependent on them could mean them delaying their own financial goals as young adults. Wouldn’t it be better instead for you to have your own source of income? The earlier you start on your retirement savings, the bigger corpus you’ll have to fall back on. Perhaps you will even be able to help your children as they get settled! And should something happen to you, a retirement plan or a pension plan will help ensure that your spouse and children are looked after in your absence. Sometimes it seems that the harder you work, the more inflation gets ahead of you. But what do you do about it? You save - not only for short-term goals and emergencies, but for your retirement as well. Even if it is only a small sum that you can manage to stash away at the end of the month, it’s better than nothing, and the small sum will grow eventually. So don’t hesitate to start investing. Start small and let compounding do its job, so you don’t have to live small later in life. It’s possible to maintain your current standard of living after you retire or even go on that dream vacation. All it takes is the right approach. Now that you’ve seen how early retirement planning can help you continue to live life on your own terms even after you’ve stopped earning, your next step is to start investing in a retirement plan. With the abundance of options available in the market, it can be difficult to zero in on the retirement plan for you. At HDFC Life, we provide retirement plans to help you meet the high cost of living and rising inflation. Choose from our range of pension schemes to find the one that best suits your needs. In India, it is common for elders to bless the young by praying for their long life. To make the most of that blessing one also needs to have adequate money in retirement, especially ample regular retirement income. A great way of doing that is by regularly investing during your work life so that you have adequate retirement savings which can provide regular retirement income or pension. A retirement plan or a pension plan, does just that. For those who don’t want to face the risk of running short of money in retirement, there is wide range of pension plans to choose from. These pension plans are provided by mutual funds and life insurance companies. In life insurance pension plans and mutual fund pension schemes, investors make regular investments during work life. On reaching retirement age, or vesting age as is the usage for pension plans, a regular income begins to be provided according to the choice of the investor. A distinguishing feature of deferred pension policies from life insurance companies is that life insurance coverage provided. This means that they cover two major risks: financial risks of untimely demise and outliving your money in retirement. The other defining feature of deferred pension schemes from life insurance companies is that on reaching vesting age, the policyholder can get upto one third of the retirement savings as a tax-free lump sum under Section 10(10A) of the Income-tax Act, 1961, subject to the terms and conditions stated therein, with the remaining amount being converted into regular income through annuities. Life insurance pension plans can also be classified into two categories. The first is related to traditional pension plans which invest in relatively lower risk investments by the life insurance company. The other variant is the unit linked insurance plans (ULIPs) which help investors invest in higher risk, higher growth ULIP funds for retirement. The choice among the various ULIP funds is made by the investor. For both categories of life insurance pension plans, the life insurance company may provide additional rewards for staying invested in the form of paying additional amounts, typically a percentage of the life insurance coverage amount as loyalty additions or guaranteed additions. When you are choosing annuities, you have a wide range of choice in life insurance pension plans. You can opt for an annuity that provides regular income or pension during the rest of your life. The pension could also be for a fixed period. You could also opt for an annuity where you and your spouse receive the income. This means the income continues to come to the surviving spouse even after the demise of one spouse. Lastly, you also have an annuity where your retirement savings is returned to you after the end of a specified period. This is known as annuity with the return of purchase price. It is not necessary that your retirement savings happen only through a life insurance deferred pension policy. You can invest in other options such as regular life insurance traditional plans and market-linked plans such as unit linked insurance plans (ULIPs). The retirement savings can be invested in the various annuities we have just discussed. These pension plans are called immediate annuity pension plans where the pension kickstarts on investing in the pension plan. Thanks to improvements in healthcare and access to healthcare facilities, Indian are living longer and living higher quality retired lives. For you to lead a comfortable and financially secure retired life, you need to save enough. Remember in retirement, inflation will still be at work and as you advance in retirement the regular income will buy less and less, when compared to the past. Retirement plans in India help you save enough for retirement. Here are some compelling reasons to buy a retirement plan. Through disciplined and regular investments in an online pension plan, you can ensure that you have enough retirement savings and you don’t have to compromise on the standard of living in your retired life. Pension plans have long investment terms. If you start early in your work life, you can regularly invest small amounts over a long period of time and accumulate adequate retirement savings. Then, you never have to compromise on your present needs. You also don’t need to do anything different or take additional risk to have large retirement savings. There are many who might be good at regularly investing and saving enough for retirement but they may not be adept in reinvesting retirement savings for regular income. Retirement plans or pension plans rid you of this bother and ensure that the absence of salary never pinches you. You protect your family with a life insurance cover during your work life so that the regular needs and major future needs are secured in case of the unfortunate event. Retirement plans, on the other hand, help secure retirement income for your spouse and family members when you choose the relevant annuity. Retirement policies or pension plans provided by life insurance companies qualify for tax deduction for the premiums paid. You get annual deduction from total income of up to Rs 1.5 lakh under Section 80CCC of the Income-tax Act, 1961. What’s more, on reaching vesting age, the policyholder can get up to one third of the retirement savings as a tax-free lump sum under Section 10(10A) of the Income-tax Act, 1961 subject to the terms and conditions stated therein. Given the ever increasing span of retired lives of Indians, mandatory retirement savings like provident fund and gratuity, will prove to be inadequate. Also, given the fact that Indians keep withdrawing money from their provident fund during important occasions like marriage in the family, it becomes even more important to bolster retirement savings. Retirement plans fulfil this need very well. Even as family structures change in India and family sizes get smaller, the possibility of children supporting parents in old age keeps diminishing. If you run out of money in retirement and you children do come to your financial assistance, you might see their finances being stressed. Also, their journey to their major financial goals such as children’s higher education and retirement will get compromised. A retirement plan, pension plan and pension scheme may go a long way in helping you maintain your financial independence even in retirement. To sum up, a retirement plan is your tool for financial empowerment and independence. It ensures that you don’t need to compromise on anything because of money. Thus, for you, even in retirement, age just becomes another number. You are convinced that you need to buy a pension plan for a financially secure retirement. However, you are not sure how to get started and the various steps to take. Here are some major aspects about pension plans that you need to keep in mind before buying them. When you are saving for your retirement through regular in retirement plans, or in a pension plan or a pension scheme, you need to figure out the savings you require at retirement. This will help you figure out the regular investment you need to make in pension plans. Remember to take into account your retirement savings from other sources like provident fund. In this stage, also take into account the retirement income needs of your spouse and family members, such as a financial dependent member with special needs. If this sounds a little complex for you, take the help of online calculators or the help of a financial advisor with proven expertise. To have ample retirement savings, you need to buy the pension plan early in your work life. This will make sure you have ample time to make small investments so that you can save a large amount. When buying a pension plan from a life insurance company, get a sense of the time till which you will need to make the premium payment. This will keep you informed about your financial commitments to the pension plan. Before you buy a pension plan, get a fix on the vesting age, or the age from which you need regular retirement income. After all, you may seek to prolong your career or not need the money at the retirement age that you initially determine. The benefit of early start to your retirement savings through a pension plan can be enhanced if you invest in growth investment. You can do this through a pension plan which is a unit linked insurance plan (ULIP). Here, a part of your regular premium buys the units of an ULIP fund, among many ULIP funds on offer. You can consider an ULIP fund that invests a large amount of its money in equities. Over long periods of 8-10 years or more, ULIPs typically provide high growth. This will help you a lot in ending up with ample retirement savings through the pension plan. The amount of regular investments you need to make in pension plans also depends on the retirement income arrangements you expect to have in place. For instance, if you have company pensions or superannuation funds, these, along with provident fund and gratuity, will mean that you will need to reinvest these retirement savings at retirement, or create regular income through, among other things, annuities. Since two thirds of retirement savings in pension plans or retirement plans have to be converted into regular retirement income, you need to have a sense of your retirement income needs. Sure, pension plans in India provide annual tax deduction from total income under Section 80CCC of the Income-tax Act, 1961, for amounts upto Rs 1.5 lakh but that should not the main reason for buying a pension plan. Pension plans help you address the risk of outliving your money in retirement. You need to manage the risk in any case. Therefore, ensure that you eyes are firmly on your retirement income needs when buying a pension plan. In India, retired life is no longer a small period. The right decisions taken while buying a pension plan may well make a difference between you digging deeper in your pockets in retirement and leading a carefree retired life. Can I change the Nominee of the policy? You have to submit the duly filled and signed Policy Servicing Request Form along with the original policy document at any HDFC Life branch. For Pension Plans or Retirement Plans, the vesting date is the Maturity date on which the policy holder can take 1/3 of the Maturity value as a cash lump sum and remaining should be used for purchasing Annuities/ policyholder can also use 100% of maturity value for purchasing Annuities. *Annuity Kit is sent 30 days in advance to the correspondence address before the maturity of the pension policy. How can I Pay the Pension Plan Premiums? For submitting documents or any other query after premium payment, you can write us at onlinequery@hdfclife.in or call us on toll free number 1800 266 0315.